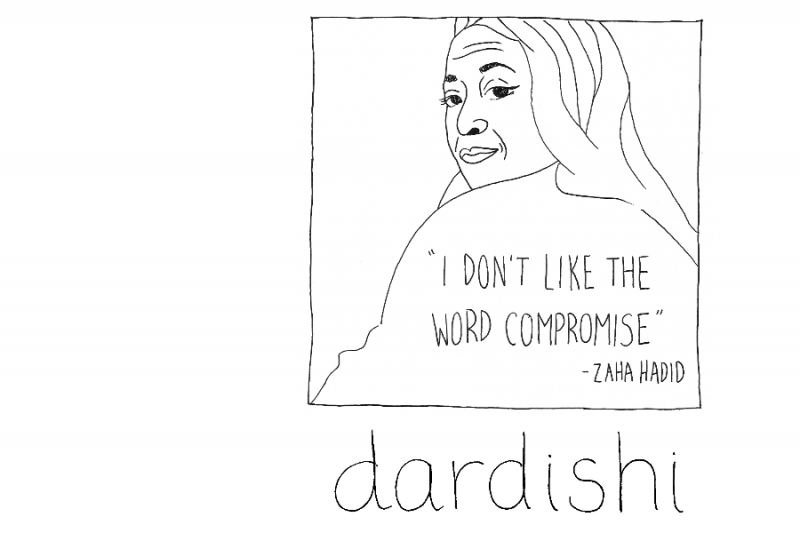 Dardishi is a feminist collective and an online magazine which exclusively showcases the cultural production of Arab women and Arab non-binary people. My sister, Yasmine Ziadat, and I founded the project and launched it on International Women’s Day 2016. We are currently developing an art festival in Glasgow that will showcase the work of Arab women. The festival will take place at the Centre for Contemporary Arts in Glasgow, Scotland, from March 8th 2019 (International Women’s Day 2019) to March 10th 2019, and will feature visual art, film, craft, performance and music produced by Arab women and Arab non-binary people. Dardishi’s first print issue magazine will also be launched on the opening night – which is also our three year anniversary. ‘Dardishi’ is the feminine verb for ‘chitchat’ in Arabic, and we chose this name, not only because it describes the nature of our projects, but also because the collective's formation was largely inspired by all the incredible conversations that we've had with other Arab women. The name dardishi also says a lot about the tone of the work that dardishi produces – conversational work that spurs a wider dialogue on Arab women’s issues. With the rise of right-wing politics in Europe, and the widespread racism, homophobia, anti-refugee, anti-immigrant and anti-migrant rhetoric in the mainstream British press, we feel this is an especially pertinent time to be holding such a festival. Within this increasingly hostile political climate, Arab women face oppression through gender discrimination and racism, and those who are queer and disabled face further marginalisation. On a personal level as Arab women and non-binary people, and in a professional capacity as curators, programmers, art directors, artists, journalists, cultural critics, academics and activists, our collective knows that art and culture has a huge potential to positively influence communities’ collective well-being. My name is Samar Ziadat , and I am a Glasgow-based Arab-British woman, a freelance art curator and programmer, and a graduate of the University of Edinburgh’s Modern and Contemporary Art History MSc. I am heavily involved in Glasgow’s art community as a committee member at Transmission Gallery and the Scottish Queer International Film Festival, and a part of Glasgow Women’s Library’s Collect:if. I also recently completed a curatorial fellowship run by Mophradat at the Centre for Contemporary Arts in Glasgow for emerging Arab curators. I balance my professional pursuits with running and editing dardishi, which has also further developed my curatorial practice. This professional and academic experience has broadened my skillset and deepened my understanding of programming, curating and publishing. I have also delivered talks for museum professional at Museum Galleries Scotland and Museums Association conferences, presenting on the ways museums can better engage under-represented groups. These experiences have solidified my belief in the importance of diversity in the arts, for artists, cultural workers and art lovers alike, and has fuelled my desire to produce work which is as open, engaging and accessible as possible. What support do we have so far? CCA is a long-established, fully accessible venue in central Glasgow known for its experimental approach to arts programming and the diversity of the communities it attracts. CCA has kindly offered us it’s Cinema, Theatre and Club Room for free throughout the festival, and will provide us with marketing support and technical consultations in-kind before and during the festival. SQIFF is an annual festival in Glasgow organised by and for LGBTQ+ communities since 2015. We will be working in partnership to develop a strand of queer Arab film that will be exhibited at SQIFF 2018 and Dardishi Festival 2019. GZF is an annual weekend of workshops, screenings, talks and social events with the biggest self publishing fair in Scotland. Dardishi will be ran a stall and delivered a talk at GZF 2018, and GZF will be collaborating with us to programme an event at Dardishi Festival 2019. Starting a festival is expensive, and we will have lots of costs to cover over the course of the project. Your financial support will help us cover essential costs such as: artist fees, travel expenses for our volunteers, salaries for our freelancers (such as a photographer and British Sign Language Interpreter), and the costs of printing and distributing posters, programmes and promotional leaflets. Your public support for what we are trying to do, whether you are donating towards our campaign or sharing it with your friends, will also demonstrate a demand for our project and work to potential future funding bodies and sponsors. We've reached our initial goal of £1000! Thank you to everyone who has donated to our campaign and helped us spread the word. We are completely overwhelmed and overjoyed by your generosity and support, and even more motivated than ever to produce a festival that reflects the talent and creativity of Arab women worldwide. In order to deliver the most artistically ambitious festival that we can, we will need much more than £1000. With your encouragement, we have decided to increase our crowdfunding goal to £5000. The campaign will continue to run until one month before the festival's opening night (March 8th 2019) - so please do keep sharing and donating over the coming months. This is your festival, so we want to share our plans with you. 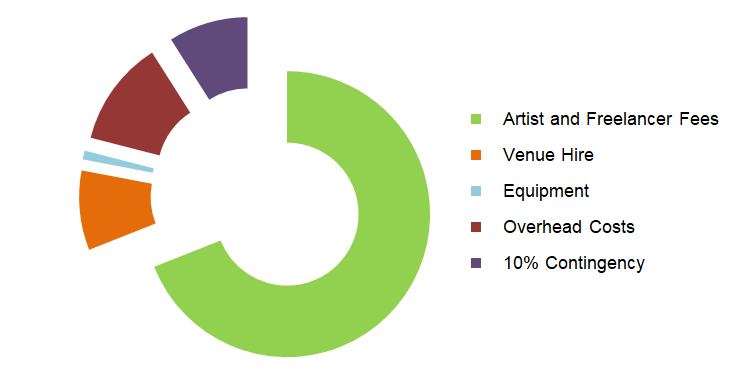 Below, we've included a breakdown of our official budget, so you know where your money is going. We have also submitted funding applications to various organisations who have shown an interest in supporting us. If you, or someone you know, is interested in sponsoring us, the best way to contact us would be at info@dardishi.com. Anyone who donates over £100 will receive a personal thank you in our festival programme and on our website!